The Great War caught a generation of American soldiers at a turning point in the nation’s history. At the moment of the Republic’s emergence as a key player on the world stage, these were the first Americans to endure mass machine warfare, and the first to come into close contact with foreign peoples and cultures in large numbers. What was it like, Richard S. Faulkner asks, to be one of these foot soldiers at the dawn of the American century? How did the doughboy experience the rigors of training and military life, interact with different cultures, and endure the shock and chaos of combat? The answer can be found in Pershing’s Crusaders, the most comprehensive, and intimate, account ever given of the day-to-day lives and attitudes of the nearly 4.2 million American soldiers mobilized for service in World War I.
Pershing’s Crusaders offers a clear, close-up picture of the doughboys in all of their vibrant diversity, shared purpose, and unmistakably American character. It encompasses an array of subjects from the food they ate, the clothes they wore, their view of the Allied and German soldiers and civilians they encountered, their sexual and spiritual lives, their reasons for serving, and how they lived and fought, to what they thought about their service along every step of the way. Faulkner’s vast yet finely detailed portrait draws upon a wealth of sources—thousands of soldiers’ letters and diaries, surveys and memoirs, and a host of period documents and reports generated by various staff agencies of the American Expeditionary Forces. Animated by the voices of soldiers and civilians in the midst of unprecedented events, these primary sources afford an immediacy rarely found in historical records. 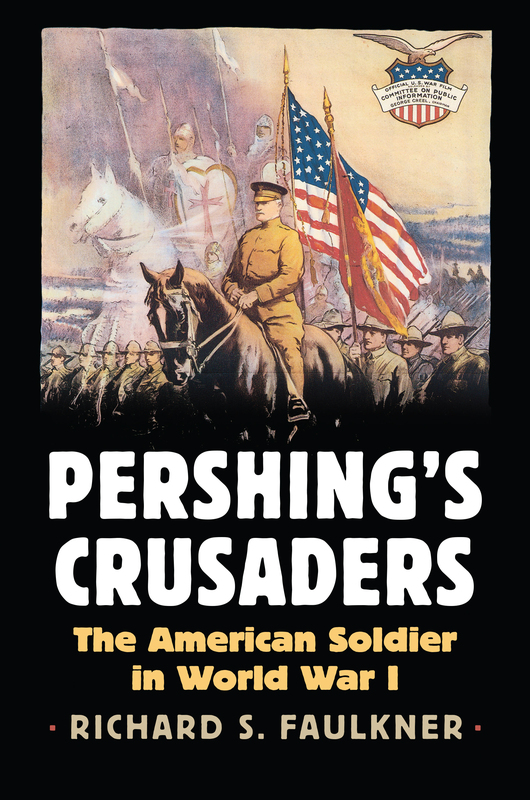 Pershing’s Crusaders is, finally, a work that uniquely and vividly captures the reality of the American soldier in WWI for all time. Richard S. Faulkner is a supervisory professor of Military History at the US Army Command and General Staff College at Fort Leavenworth. He is the author of The School of Hard Knocks: Combat Leadership in the American Expeditionary Forces, which received the 2013 Distinguished Book Award sponsored by the Society for Military History.